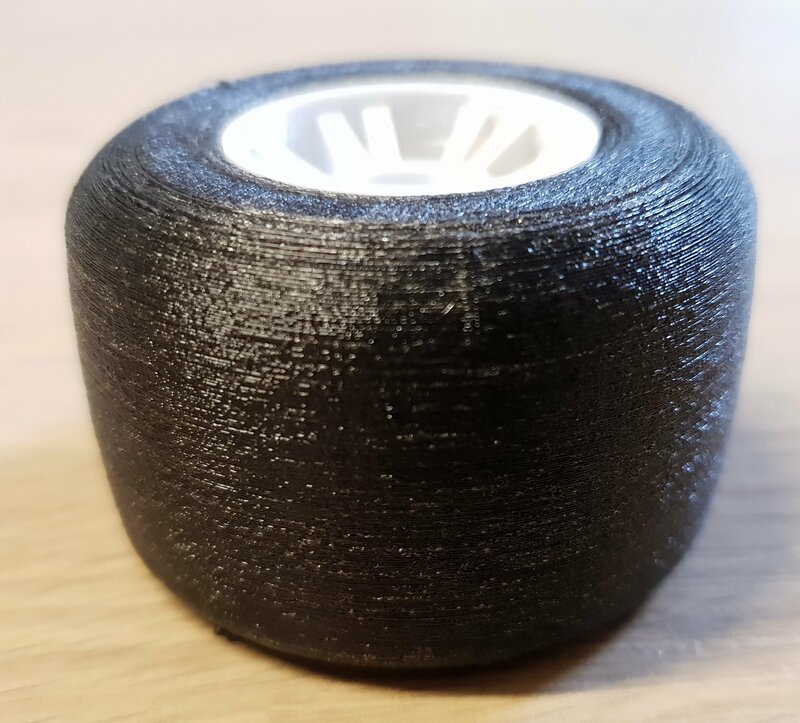 We are continuing our OpenRC F1 project trying to print our tires! 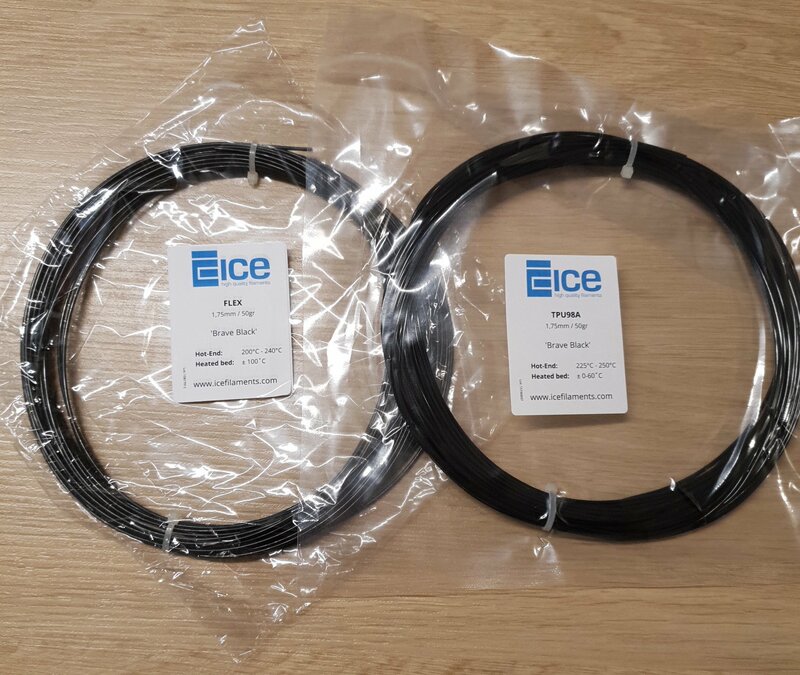 For this, we make a first test of flexible filaments of ICE Filaments, a Belgian company (proudly) active for several years in 3D printing and offering a wide range of materials, from PLA to "WOOD", through ABS, nylon, PC, etc. 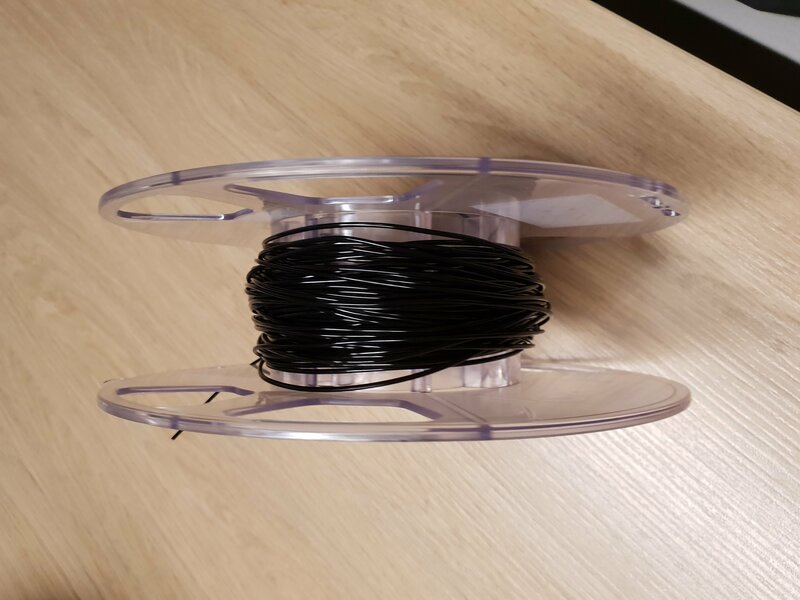 One of the big advantages of their filaments is that they are available on Amazon. 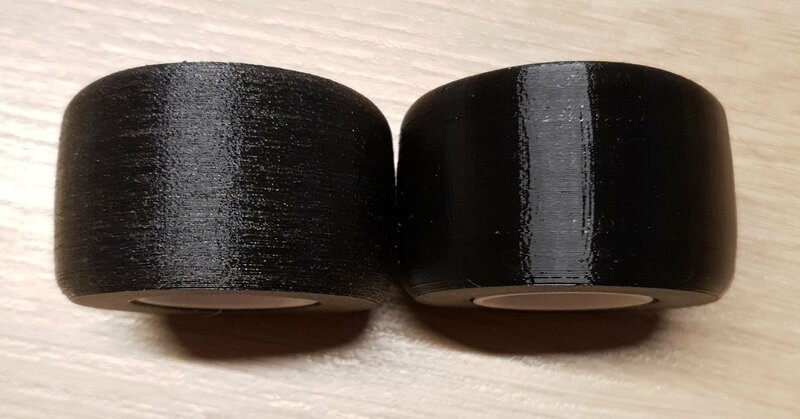 They sent me two small samples of FLEX and TPU that I could test to see if these materials are suitable for designing tires for the OpenRC F1. 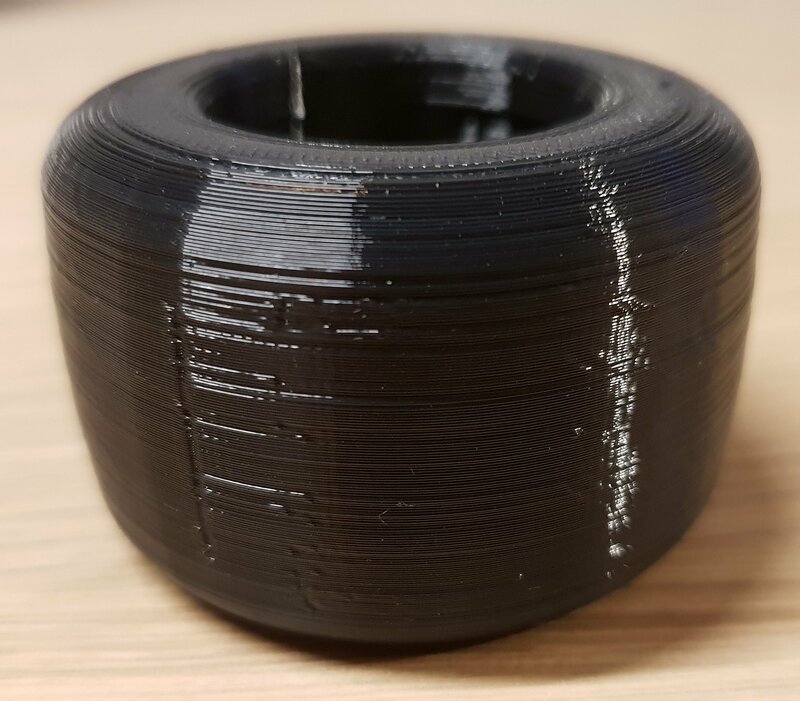 The first filament I tested is the TPU. I unpacked it and started the printing... 210°C, 0.2mm, heatbed at 60°C and 0.75mm of retraction (linear advance was tuned before printing it). Visibly this TPU absorbs moisture enormously, so it must be dehydrated before use and stored as much as possible in an airtight container! 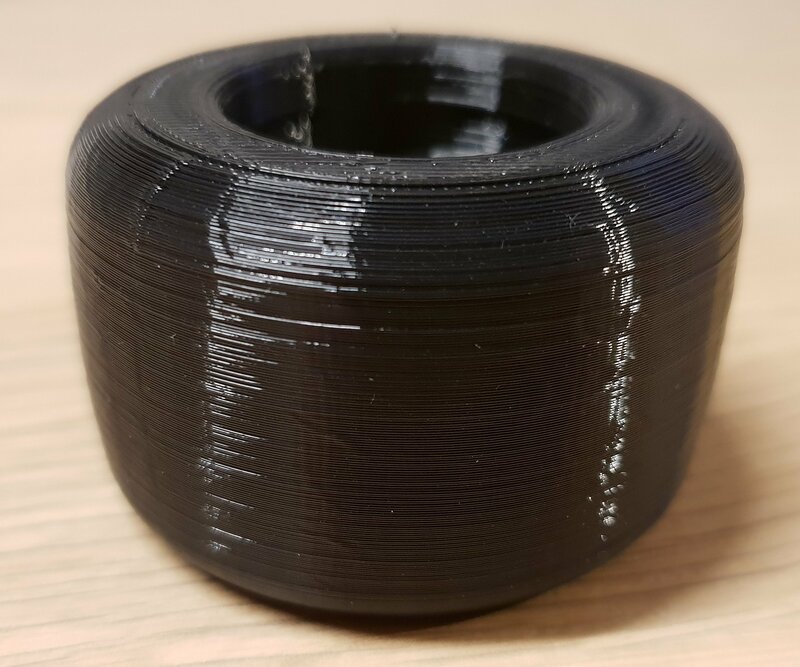 The filament is also very slightly elastic and once printed, the tires grip a bit more than those printed in TPU. We are still far from the grip of a commercial tire rubber but we approach something usable! 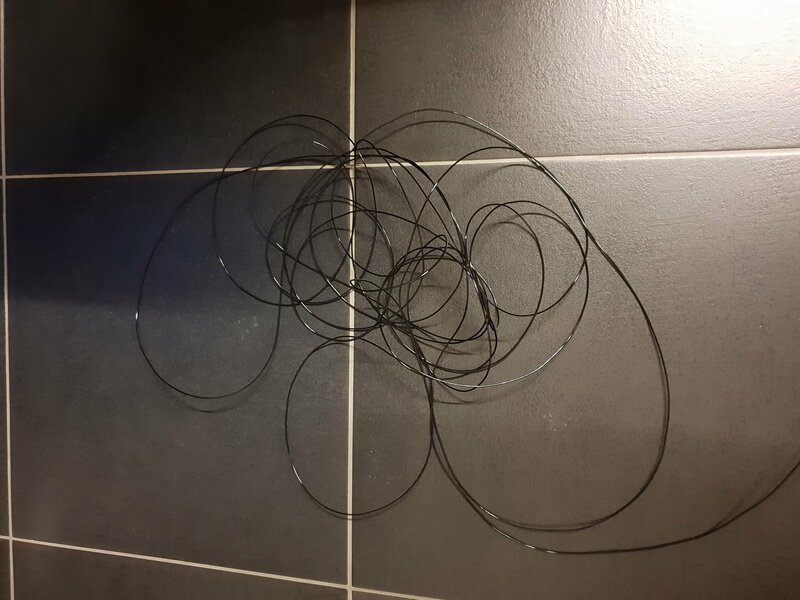 Of the two filaments, my preference goes clearly to flex for several reasons: first of all, knowing that it comes from recycled materials is a good point for the environment. Then its ability not to absorb moisture from the air unlike the TPU makes it a material of choice for beginners. 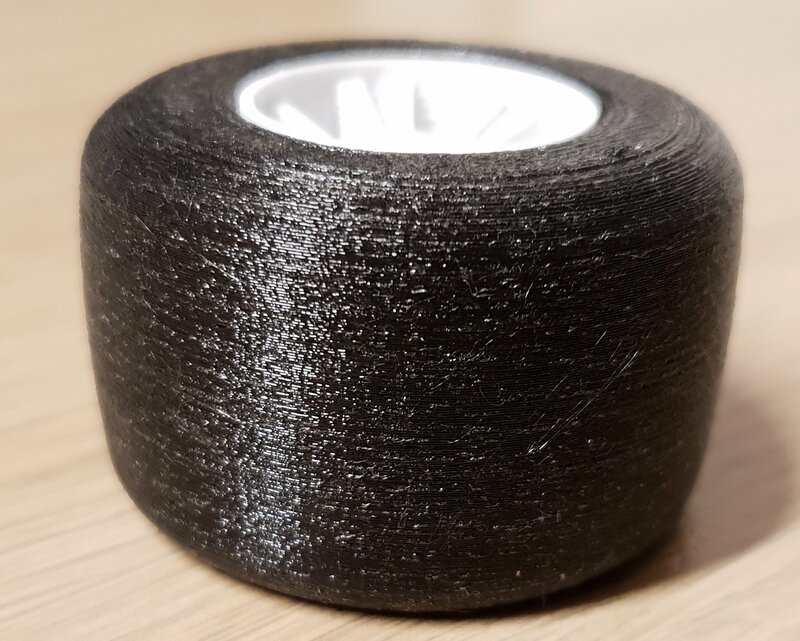 Finally the relative flexibility it brings compared to the TPU is appreciable even if in our precise use (print tires for our F1 not to have to buy in the market), it is not yet the perfect material! 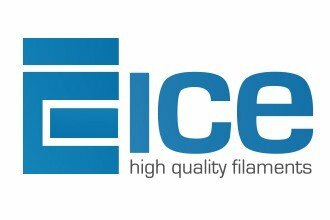 Thanks to ICE Filaments for samples!